Robert McNaught had been a hotel manager in Brighton before the war. He served in the Canteen section of the Army Service Corps and died in Greece during the 1918 influenza pandemic. Robert McNaught was born on 8 December 1881, at 42 McKinley Street in the Gorbals area of Glasgow, the second of three children born to John and Jeanie McNaught. John McNaught was born in Glasgow in about 1855 and worked as an upholsterer. He married Jeanie McLure, the daughter of Arthur McLure, described as an “Officer of the United Presbyterian Church”, at her family home in Salisbury Street, Glasgow on Christmas Day 1879. Their first child, Margaret was born at 42 McKinley Street in the following April. Sometime after Robert’s birth in December 1881, the family moved out of the Gorbals to 83 Budhill Street, Shettleston, about 6km east of Glasgow city centre, where their third child, Jessie was born in August 1886. Sadly, Jessie died in 1891, shortly after her fifth birthday, from whooping cough and bronchial pneumonia. By 1901, Jeanie had also died and John (still employed as an upholsterer) was now living at 102 Raeburn Place, just north of Edinburgh city centre, with his two surviving children and his sister Agnes. 19 year old Robert was now employed as a clerk. On 5 January 1910 at the Hanover Square registry office, Robert (aged 28) married Mary Madeline Frances Farlow (1881–1953), from Limerick, Ireland. Mary was the daughter of Robert Farlow, a deceased hotel proprietor, and his wife, Mary Jane née Le Brun (or Brown). The couple’s only known child, Helen Farlow McNaught, was born in Hull, Yorkshire (where John McNaught was now living), on 13 August 1910. At the time of his marriage in January 1910, Robert gave his occupation as the assistant manager at the Hotel Windsor, Victoria Street, Westminster. The former Hotel Windsor was demolished in the early 1970s to make way for an eighteen-storey tower, completed in 1977. By the following year, he had become the manager at Dormans Park Hotel, near Lingfield, Surrey. 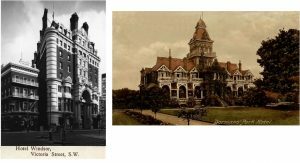 Dormans Park Hotel had opened in 1888 but closed in the 1950s and has since been demolished and replaced by housing. 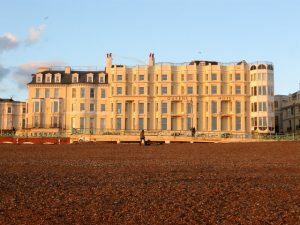 Robert’s stay at Dormans Park was fairly brief, for when he enlisted in the army in 1914/15, he and his family were living at 22 Tillstone Street in Brighton (with his father John living next door at No 20), and his occupation was stated as manager at The Queen’s Hotel, Brighton. 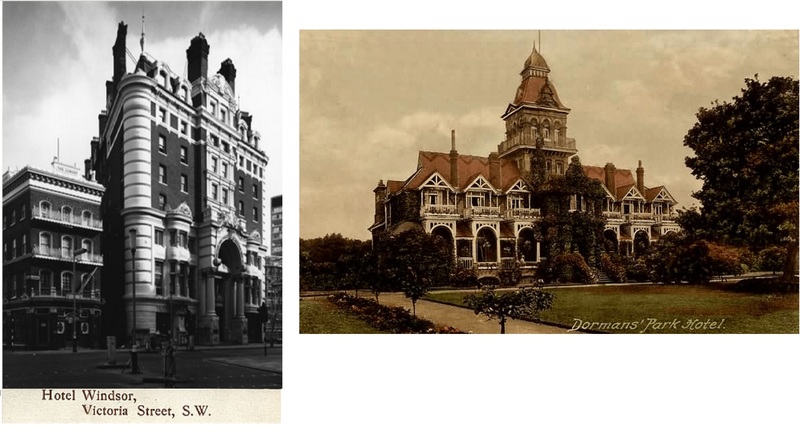 Originally opened in 1846, the hotel had expanded in 1908 by acquiring the neighbouring Markwells Hotel. On 2 May 1911, Robert McNaught was initiated into Sackville Lodge, which met at East Grinstead, Sussex, a few miles from his home at Dormans Park. He was passed to the second degree on 4 July and raised to the degree of a Master Mason on 5 September 1911. Little detail is known about Robert McNaught’s military service, as his service records have not survived. He enlisted in Brighton, probably in 1914 or 1915 and joined the Army Service Corps, Expeditionary Force Canteens section with service number A/358149. By the time of his death, he had been promoted to the rank of Acting Staff Serjeant. The role of the Army Service Corps (which became the Royal Army Service Corps in late 1918) was to provide food, ammunition and equipment, including horses and vehicles, to the troops in the front line. Although the rest of the army would not have been able to function without the service of the ASC, they remain some of the unsung heroes of the war. At their peak, the ASC numbered over 10,500 officers and 315,000 men. Although not serving in a combatant role, nearly 13,000 members of the Army Service Corps were killed during the war, of which at least 100 were canteen staff. At the time of his death, Robert was serving with the ASC, as part of the British Salonika Army in Greece. The Army had been formed in 1915 to oppose Bulgarian advances in the region and to attempt to protect Serbia from invasion by the combined forces of the German and Bulgarian armies. Although the allies failed in their attempts to defend Serbia, the army remained in the region to protect Greece from the threat of invasion. By the time of his death, Robert was with the Expeditionary Force in Macedonia, Greece. In September 1918, he was taken ill and sent to the 49th Stationary Hospital at Bralos, where he died on 22 September 1918 from influenza. The 1918 influenza pandemic affected over 500 million people across the world, of whom at least 50 million died, representing over 3% of the world’s population. It came in three waves (Spring 1918, Autumn 1918 and Winter 1919) and the second wave was particularly deadly. Unlike typical flu pandemics, it disproportionately killed young healthy adults. It is probable that the conditions of the war significantly aided the spread of the disease. 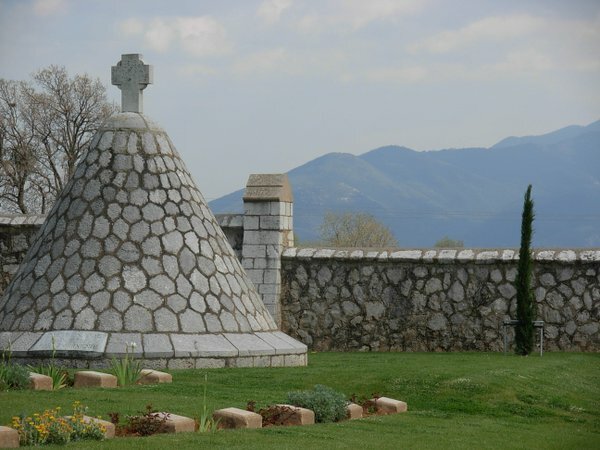 Robert is one of 95 British soldiers buried in Bralo British cemetery, approximately 190 km north of Athens. As well as the Masonic Roll of Honour, he is commemorated on the Brighton War Memorial. Robert’s widow, Mary, never re-married and she died on 19 August 1953 at the Little Sisters of the Poor Home at Fulfood, near Preston, Lancashire. Their daughter, Helen Farlow McNaught, died in Somerset in 1987. She was unmarried.